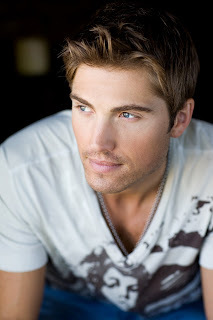 A: Eric Winter (left, photo by Gabriel Goldberg), 34, plays the dashing young FBI agent on the hit CBS show. Previously, Eric was best known for his work on “Days of Our Lives,” “Moonlight” and “Brothers and Sisters.” The recent movie you’re referring to is “The Ugly Truth,” with Gerard Butler and Katherine Heigl, which Eric said was a thrill to work on. Q: On “Sons of Anarchy,” they refer to SAMCRO all the time. Who or what is SAMCRO? — Sonny W. in Tenn.
A: As you know, FX’s hit show “Sons of Anarchy” centers on the Teller-Morrow family of Charming, Calif. SAMCRO refers to the Sons of Anarchy Motorcycle Club, Redwood Original Chapter. When “Sons” returns this fall, expect some changes in the town of Charming, including a new mayor and a new sheriff. A: When “The Glades” debuted in July 2010, it broke viewing records for A&E, making it the most watched, highest-rated original drama for the network, so you can bet it will be back for a second season. The police procedural, which takes place and is filmed entirely Florida, will pick up again this summer. A: The two-hour documentary, narrated by Liam Neeson, has been a Christmas and Easter staple for the network since it first aired in 2006. While there is no official word from CNN, be on the lookout for it come Easter time. A: The show you’re referring to is “Who Do You Think You Are?” and it airs on NBC. It’s produced by actress Lisa Kudrow (who researched her own background during the show’s first season), and it will be back for its second season on Friday, Feb. 4. This season will feature Gwyneth Paltrow, Steve Buscemi, Rosie O’Donnell, Tim McGraw, Lionel Richie, Kim Cattrall, Vanessa Williams and Ashley Judd. If you missed any of the first season, it will be released on DVD on March 15. Q: Now that Dana Delany is no longer on “Desperate Housewives,” where can I see this gorgeous and talented actress? — Stephanie D., Altoona, Pa.
A: The former Wisteria Lane resident is still on ABC, but she stars in a brand-new drama called “Body of Proof,” which debuts Tuesday, March 29. Dana (left, photo ABC) plays a neurosurgeon, Dr. Megan Hunt, whose world is turned upside down when an accident puts an end to her time in the operating room. In her new career as a medical examiner, she is determined to solve the puzzle of who or what has killed the victims. Jeri Ryan, John Carroll Lynch, Nicholas Bishop and Sonja Sohn co-star. A: A few you missed are: the engagement of Natalie Portman to her “Black Swan” choreographer Benjamin Millepied (as well as the announcement of her pregnancy), the first sightings of new couple Meg Ryan and John Mellencamp, the engagement of LeAnn Rimes and Eddie Cibrian, Reese Witherspoon’s engagement to Jim Toth (although her rep denies rumors of Reese’s pregnancy), as well as the marriage of Kellie Pickler to songwriter Kyle Jacobs. On the flip side, Macaulay Culkin and Mila Kunis broke up, as did Taylor Swift and Jake Gyllenhaal. And I’m sure there are a few I missed. READERS: Are you following Celebrity Extra on Twitter or Facebook yet? If not, you’re missing out on exclusive content, such as expanded interviews and up-to-the-minute news. I also will be featuring some Twitter/Facebook-exclusive contests shortly, so sign up to follow me (twitter.com/Celebrity_Extra; on Facebook, go to tiny.cc/celebrityextra and click “Like”). Each time I reach increments of 500 followers, I’ll give away something cool to one of them, so get in the loop.